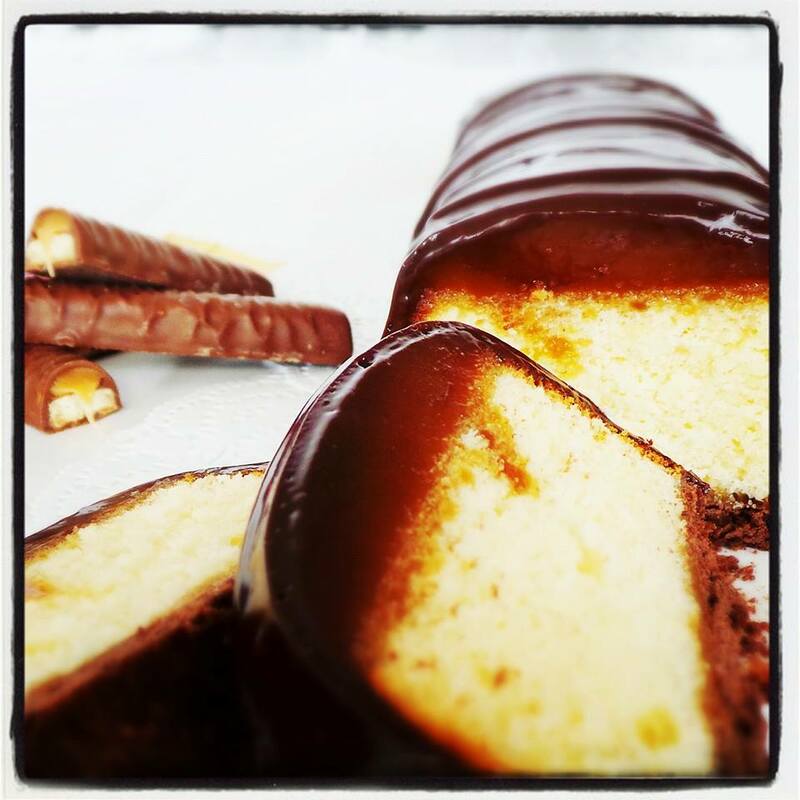 Salted Caramel TWIX Cake…for the busy baker. – Food from Home blog! Salted Caramel TWIX Cake…for the busy baker. 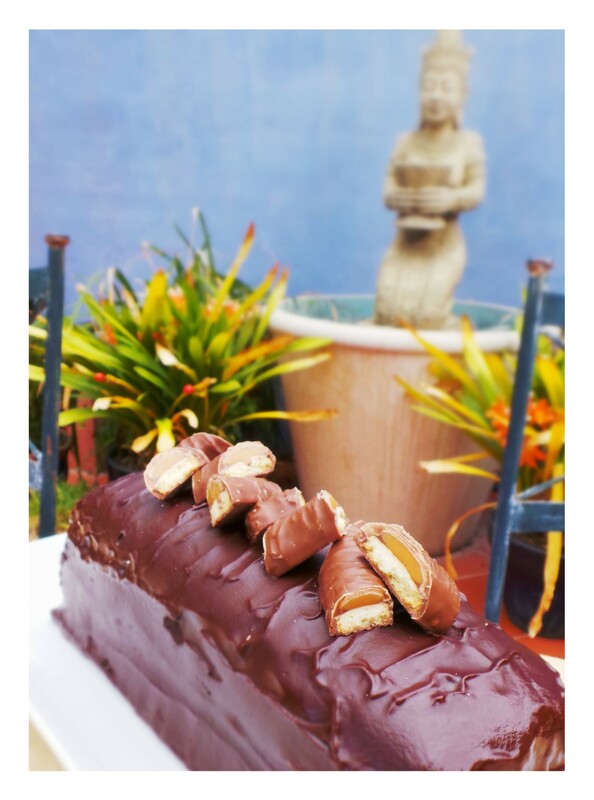 “Salted Caramel TWIX Cake” ……..this is for the busy baker! Equipment you will need 1 x Loaf tin approximately 26cm x 8cm x 6cm. Pre heat the oven to 180 Degrees. Prepare your tin by greasing with cooking oil spray. Line the tin with baking paper. Prepare the cake mix as directed and bake as recommended or till golden and baked through. Place the Flour, Cacao, Icing Sugar, and cold unsalted butter in the bowl of a food processor and pulse till all the ingredients have combined. Add the egg yolks and pulse again till it all comes together, push the dough together (careful not to over work the dough). Make a ball flatten it slightly and wrap the dough with plastic wrap, rest in the fridge for 15- 30 minutes. On a lightly floured surface roll out the dough to 5 millimetre thickness cut a rectangle the size of the widest part of your loaf tin pierce holes over the dough with a fork. Bake in a preheated oven at 180 Degrees for 12 minutes. Remove from the oven and allow to cool completely on the baking tray. Place the salted caramel dessert sauce in a saucepan and heat through while constantly stirring. Remove form heat as soon as it comes to the boil. Add the milk chocolate stir all till well combined till you have a smooth glossy caramel. Set aside to cool slightly. To prepare the mould / channel (to form the dome shape which will be the top of the cake) for the caramel use the same loaf tin. Place cling wrap over the top of the loaf tin and allow it to evenly sink down creating a channel. Secure all four sides of the plastic to the loaf tin and pour the semi cooled caramel into the channel then set aside. Bring the cream, butter and glucose to the boil and pour it over the milk chocolate pieces. After 5 minutes use a whisk to stir the chocolate and cream together till it is smooth and glossy. Smear a layer of caramel on to the biscuit base. Trim your cooled butter cake so that the top of the cake will now sit flat on the rectangle biscuit base. Place the narrow side of the butter cake on to the caramel. Cover with plastic. Place the cake into the freezer for about 30 – 45 minutes. Remove the cake from the freezer and carefully flip it over on to a cooling rack, the caramel will set frozen, peal the plastic off leaving the cake with a caramel dome on top. Place a baking tray under the cooling rack and pour over the chocolate ganache. The cooling rack will allow the excess ganache to drip through leaving a smooth coating. 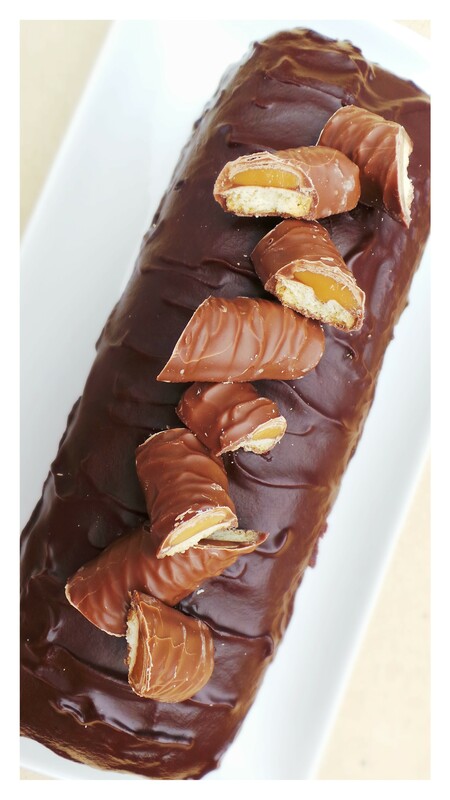 To get the cake looking like a TWIX Bar use your hair dryer on a cool setting to blow air over the top of the ganache this will create the rippled effect. 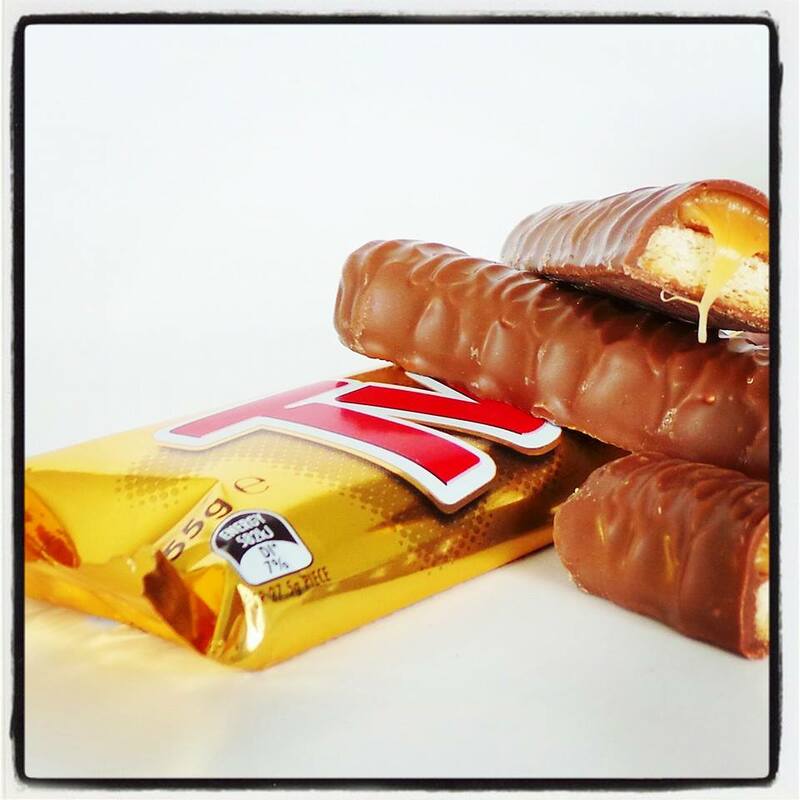 Chop some TWIX bars and use them for decoration on top. Get ready to “RUM BALL”!